La Casita is a charming cottage in the old Andaluz / Moorish style providing simple but stylish, rustic accommodation for up to 5 people. 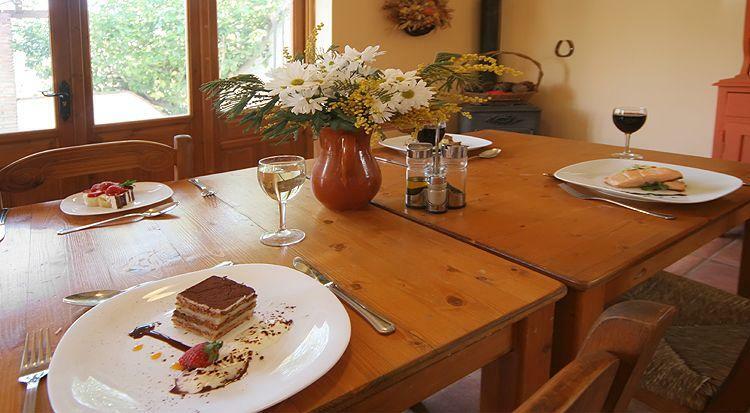 It is perfect for a romantic getaway or a family holiday with character. Please note – La Casita is only partially accessible. There is access into one of the bedrooms and the bathroom is adapted (both on the ground floor). There is no access to the rest of the house for people with reduced mobility. There are 2 double bedrooms & a bathroom on the ground floor. The bedrooms open out onto a private courtyard. On the first floor there is a large kitchen diner and lounge. Both rooms open out onto a large private balcony & from there stairs lead up to the large roof terrace. The views from the balcony & roof terrace are breathtaking. The kitchen is fully equipped with microwave, fridge freezer, gas hob & oven. Other facilities include washing machine, TV, DVD, air conditioning / heating and a wood stove (fuel provided and included in price). La Casita is located within the grounds of Las Piedras Hotel. Guests of La Casita can use the guesthouse facilities such as the heated swimming pool, jacuzzi, bar & restaurant. We also offer optional transport, excursions and transfers. Arrival and departure days are flexible, but we prefer Thursdays and Sundays. Minimum stay is 3 nights. Guests can stay at La Casita on a Self Catering basis or can be combined with one of our hotel packages. For availability calendar, please click here.